We've seen incredible, massive LEGO builds before, including amazing cars, but the LEGO Technic team has moved the standard for impressive assemblies forward--literally. 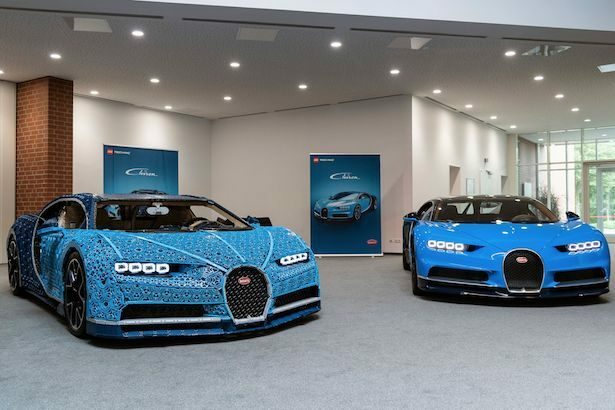 Their full-sized scale model LEGO Bugatti Chiron is a first of its kind, because even though it's made up entirely of LEGO Technic elements it is totally drivable. This gorgeous, life-sized scale model, which amazingly doesn't rely on any glue, made its premiere in Monza Italy at the Grand Prix Formula 1 event on August 30. The car can fit two people, weighs over 3,300 pounds, and is made from over one million LEGO Technic elements. "Equipped with a rear spoiler, speedometer, front and back-lights, detachable steering wheel and brake pedal, all fully functional and built of LEGO Technic elements," it required 339 different types of Technic elements, and over 13,000 man hours from development to construction. 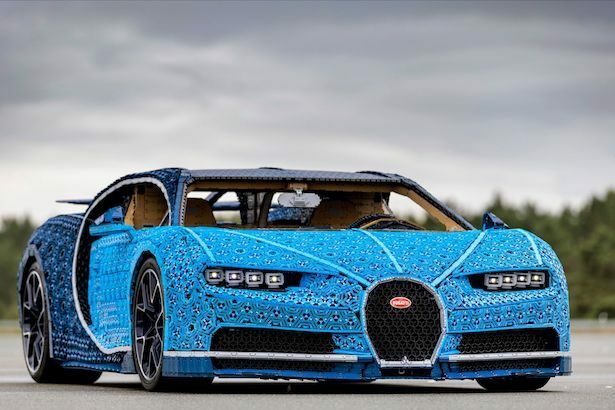 Even if the car didn't run this would be an incredible LEGO recreation, because the Bugatti Chiron's sleek design doesn't exactly scream "LEGO." But what makes this truly special is it's entirely powered by 2,304 LEGO Power Function motors and 4,032 Technic gear wheels, and can generate 5.3 horse power and roughly 92 Nm of torque. Former race car driver Andy Wallace reached 12.4 miles per hour when he took it for a test drive, which might not sound very fast (especially compared to the real version that can reach 261 mph) until you remember what the car is made of. 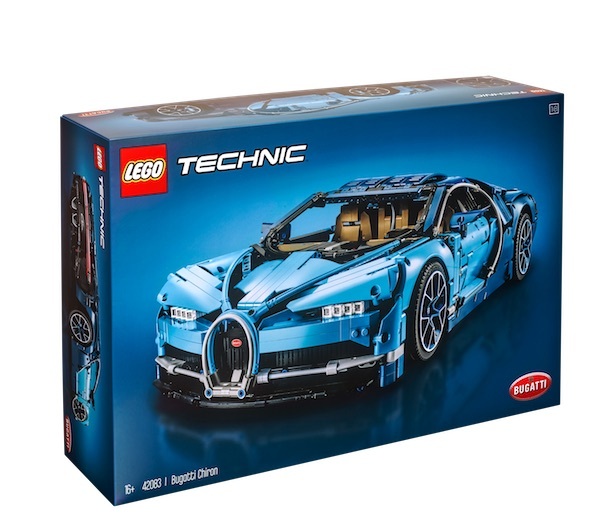 You can see more photos of the car from construction to completion in our gallery below, but if you'd like your very own model LEGO Technic Bugatti a 1:8 scale model set was released in stores and online earlier in August. Everything about this life-sized model is impressive, but now we can't wait to see what the Technic team comes up with next. Anyone know if LEGO components can fly? What mode of transportation should LEGO try to build next? Drive into our comments section to tell us your best idea.